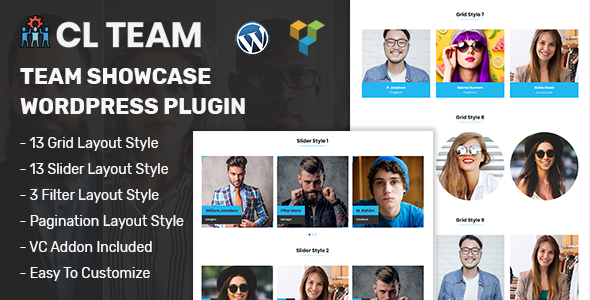 CL Team Showcase is WordPress plugin developed with creative & modern web trends to provide the best, clean and animated team showcase. Using this plugin you can build fantastic team showcase in very short time. You can display your team member to your website with many layout like Slider, Grid, List with unique 30 different style. It’s design with fully responsive layout that will fit any device. Clean, Flexible and Fully Responsive.